Vladimir Goloborodko had been an IT Consultant for 15 years and while managing a large team with clients that had multibillion-dollar budgets, he realized that he wanted to do something new and take the path of a startup with a great idea. So he founded a crypto payment system for small and medium-sized merchants to assist them and their clientele with those smaller purchases that decrease the profit margin because of certain roadblocks that are inherent in the system. The result is a really great idea called SmartPay. As busy humans in the middle of our on-the-go lifestyles, we've all been in situations where we need to grab a quick drink and pack of gum while we're out or pick up that quintessential loaf of bread on the way home. Then we realize that either we don't have any cash on us at the time, or we have a large bill that we don't want to break for something that totals three dollars and seventy-two cents (the "large bill" example not being me, by the way). Not only is this a hassle for us consumers, but it's an even bigger hassle for the merchants. Especially considering the fact that up to 30% of their profit margin get automatically eaten up with bank merchant fees when we use our debit and credit cards. So they end up either imposing minimum purchase amounts when we use a card for payment, or they increase their pricing across the board to help compensate. That leaves us to either pay more for what should have been a quick and easy purchase or keeps us from making these types of purchases at all. 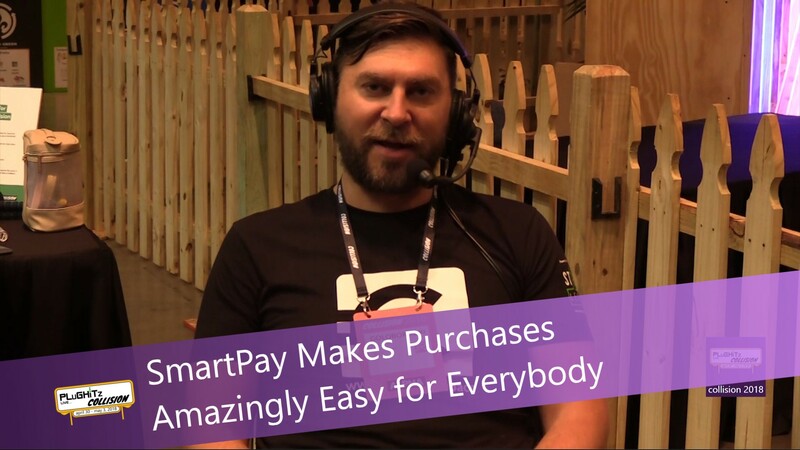 SmartPay has a perfect solution that makes it easy for both parties to quickly and easily make these smaller transactions a breeze. Their payment platform is specifically designed to accommodate these exact transaction that we encounter on a daily basis and it doesn't even require them to have any special equipment. The basic premise consists of QR codes that are either generated on their existing smartphone or tablet and in cases with preset pricing, they don't need anything except a sheet or sticker with the QR code. It only takes them about 10 minutes to set up the mobile app to start excepting payments. So customers merely need to scan the code for the payments to instantly be sent to the merchant from their mobile account. It's such an interesting idea, not only for the simplicity of use but also the cost savings and it takes the multiple middlemen out of the processing of each payment transaction down to just two. And as if that weren't incredible enough, it also takes the banks out of the equation as the payments will now go straight through your mobile provider. According to their statistics, mobile operators already have approx. 5 billion customers, while banks have 2 billion. Payment technology on this level has the opportunity to streamline efficiency in much the same manner that the video streaming companies have with network and cable television viewing. We also love how many different uses it would be able to accommodate. It would make paying for lunch, or even things like bus fare, so much easier. Their model also includes proximity marketing that will allow participating merchants the opportunity to send out digital campaigns that are designed to generate new leads, increase business and improve customer satisfaction and loyalty. Check out Vladimir's full interview to learn more about this blockchain solution and then head over to their website to find their roadmap for future platforms that include a web-based gift version and financial services.